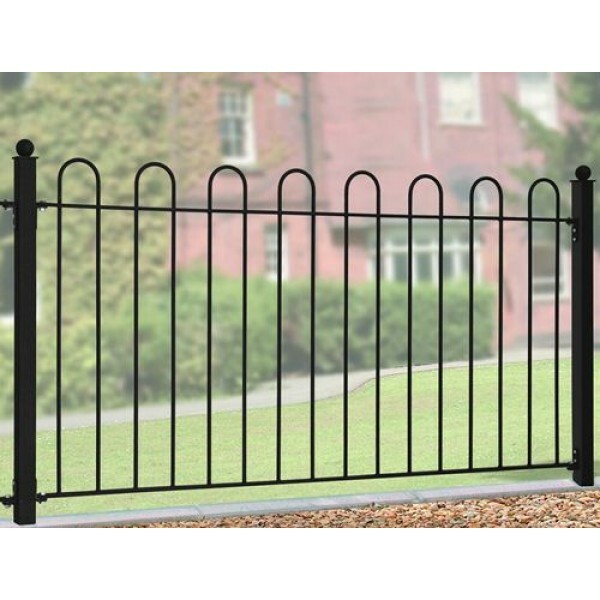 The wrought iron style Court Fence Panels are constructed using solid steel with a safety hoop top which makes them ideal for fencing in children's play areas and parks. The fence panel width measurement of 1830mm (6ft) includes the space required by the hinges that are supplied for installation. Therefore this measurement is the actual gap width that is required by one panel. The height measurement is taken from the bottom frame to the top frame of the fence. When installing your fence, remember to leave ground clearance, typically 50mm (2"). Fittings. 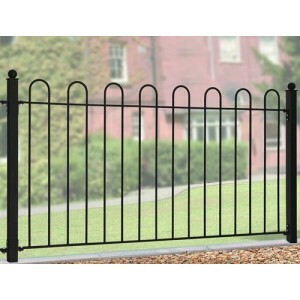 The Court Fence Panels are supplied with hinges and self tapping screws.